Pest monitoring Slow emergence and poor stand establishment are signs of seedcorn maggot activity. Where slow, spotty emergence is observed, dig up seed and inspect it for maggot feeding. Cool soil temperature and periods of excessive moisture favoring slow seed germination and seedling emergence increase susceptibility to seedcorn maggot infestation. 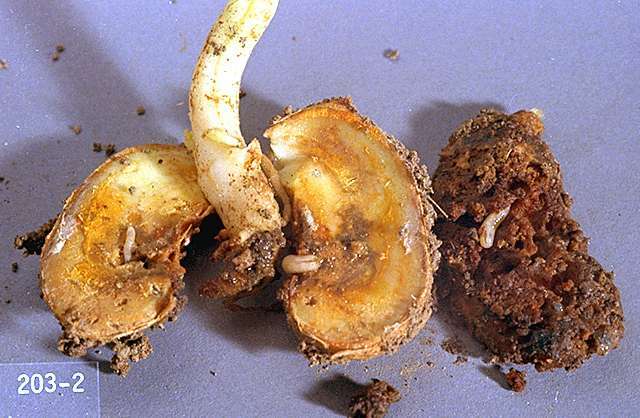 To assess potential infestation levels prior to planting, place a cut potato or other vegetable or fruit in the field and apply bakers yeast with some water to the cut surface. 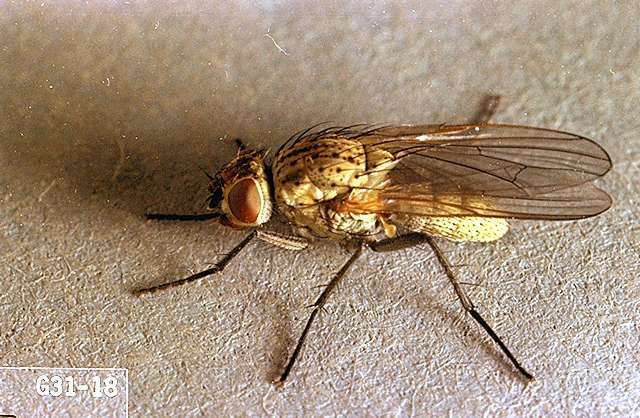 Leave the bait for several hours and return to look for the presence of adult seedcorn maggot flies as they are attracted to carbon dioxide. To reduce attractiveness of the field to egg-laying adults, disc or plow early in the year, incorporating residues from a previous crop and destroying weed growth. 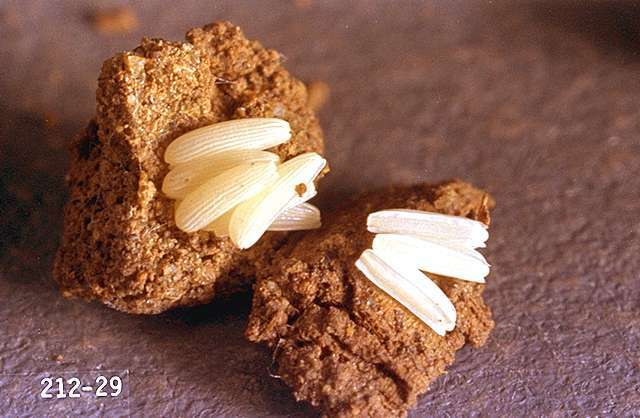 Plant under ideal soil and weather conditions to assure rapid seed germination and minimize the seedcorn maggot problem. One of the most reliable control methods now in general use is to plant seeds that have been treated with an appropriate insecticide in the seed box at planting. Practically all commercially available seed corn is treated with an insecticide to protect the seed from insect pests during storage. However, this treatment is not sufficient to provide field protection against seedcorn maggots. A planter box seed treatment insecticide at planting is recommended. chlorpyrifos (Lorsban Advanced)-As a broadcast or T-band treatment prior to planting. Consult label for rates. Do not exceed 0.94 lb ai/a per year. thiamethoxam (Cruiser 5 FS)-Seed treatment at 1.28 fl oz per 100 lb of seed. Refer to label for complete instructions.